A recent media report reads: The army tells the parliamentary committee that 68 per cent of its equipment is vintage, and ‘Make in India’ is stillborn. Earlier, speaking at the USI on 4 May 2017, the Chief of the Army Staff (COAS) had opined that many saw “defence expenditures as a ‘burden’ and pointed out that the armed forces are not getting their share”. He would go on to state, “India needs to draw a lesson from China in this regard”. Indeed, there is much to learn from the Chinese approach. But lessons lie beyond large budgetary outlays. It is here that India needs to learn her lessons. Since Independence, USD1.2 trillion (at constant 2015 rates) appears to have been spent on her military by India as reported by Stockholm International Peace Initiative (SIPRI). India has in catering for its security concerns risen to become the largest importer of arms in the world. While this seeks to address short-term demands, the longer-term necessity of self-reliance and strategic autonomy continues to elude. Our inability to make choices and to be not dictated by others is a vulnerability. In recent years with the politico-economic requirements being unable to afford larger military expenditures, we have seen successive budgets constrained when it comes to defence modernisation and research. 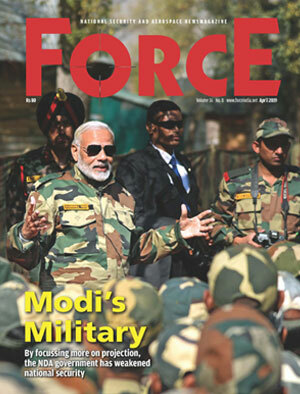 India, while thus opting not to invest excessively on military capabilities, is trading off military preparedness and readiness. Besides compromising military readiness, India forecloses many economic opportunities that defence investments can bring to play in national economies. A carefully thought out and planned system of investment towards a high-tech military-industrial complex can contribute to national development. If we look at the ideology that has driven the growth of China and Japan, ‘insecurity’ is that common thread that exhorts these two nations to enhance ‘national security’ as a priority above all others. In enhancing security, they seek a rich and robust economy as a prerequisite. Healthy and affluent economies can emerge from well thought out technology infusion. Thus, as a policy, they have accepted that ‘technology is a fundamental element in national security, and, it must be indigenised, diffused, and nurtured’. Further, ‘when one speaks of technology; defence and aerospace, with its technological intensity, high value-added, and extensive linkages to other ‘knowledge-based industries’ are the quintessential strategic industry, a resource for raising the technological level of the entire economy’. (Samuels, Richard J. ‘Rich Nation, Strong Army: National Security and the Technological Transformation of Japan’, Cornell University Press, Ithaca, NY, 1994). Adam Smith recognised “‘defense’ as a public necessity but articulated that militaries are expensive. Only prosperous and productive nations could defend itself in modern times. He opined that militaries are parasitic and drain resources away from productive uses”. Such views appear to have broad acceptance within the ministry of finance (MoF). But, India’s ignorance of its security dilemmas can be disastrous to that very economic agenda that MoF attempts to balance.